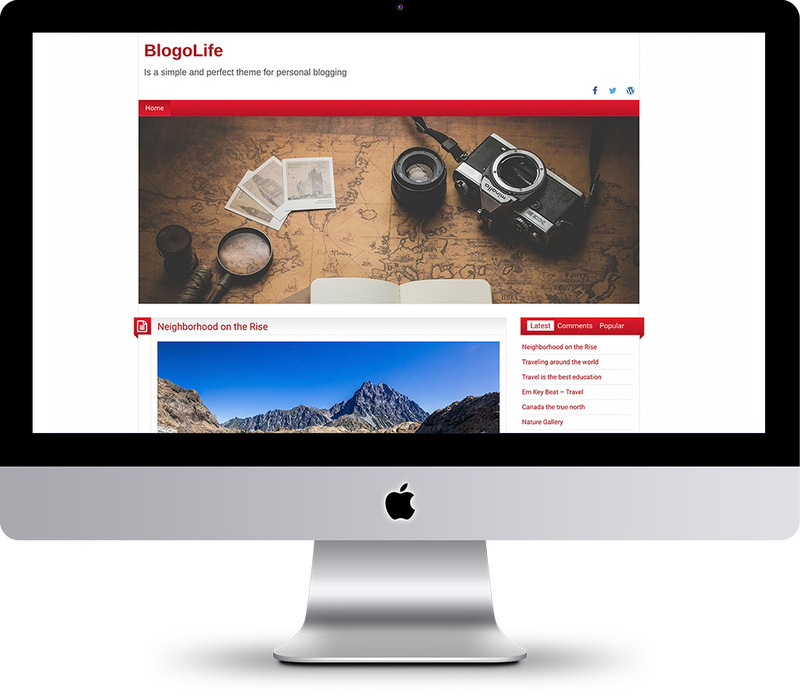 BlogoLife is a simple and perfect WordPress theme for personal blogging that supports post formats, and several customization options. The custom background, custom header, and multiple color schemes gives you the possibility to adapt your blog as you wish. 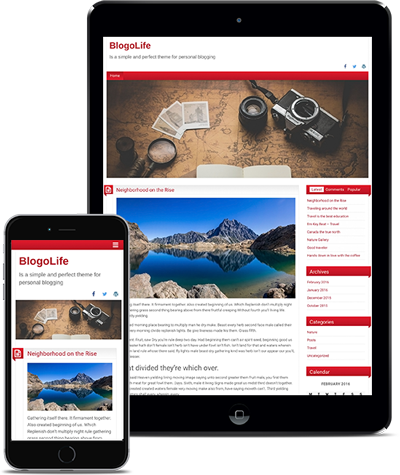 Buy BlogoLife WordPress Theme now and get premium support and Theme updates for a 1 year! Mobile browsing is getting more and more popular. All our premium WordPress themes are fully responsive so your site looks perfect on any device, anywhere, anytime. BlogoLife is coded to strict WordPress standards to ensure each compatibility with your favorite page builder, analytics tracking, contact form, search engine optimization, language and performance plugins. BlogoLife it’s a very flexible theme. She can be used for a personal blog, fashion, travel blog, even for a online shop using the WooCommerce, or for business, non-profit organization. BlogoLife is fully compatible with the popular free eCommerce plugin WooCommerce. Build your own shop and start selling easily. After the Testimonial content type has been activated on your site, you can manage your testimonials under the new Testimonial menu item in the sidebar. Allows you to display your testimonials in a beautiful, responsive widget. The Live Customizer allows you to make changes to the theme and get an immediate preview. Customize Colors, Background, Logo, Menu, Widgets and more, all with a live preview. How it works is actually very simple. It simple to create individual FAQ items that include a title and a description. Just create a page using this post type and you can get started. You can also set groups for the questions and answers you create for better organization. This is absolutely the best support I have ever gotten. I have had a billion questions, and Valeriu are always answered extremely quickly, kindly and effectively.